Today is one of those days when being an Irish Catholic takes on a little extra significance for it is the feast of a recent Irish person who is well on the way to sainthood. Dom Marmion, as he is affectionately known, was born in Dublin in 1858. His father was French and his mother Irish, so he was brought up fluent in both English and French, something which became very useful later in his life. 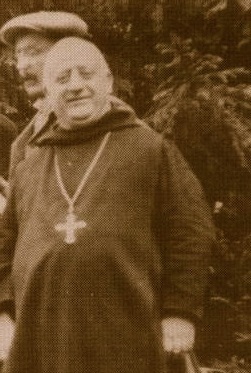 Ordained a priest in 1881 he left Ireland in 1886 and entered a French speaking monastery in Belgium where he was later elected abbot (1909) and where he eventually died (1923). I once knew a lay brother in a monastery who spent his whole time reading one of Marmion’s books. The monk was a holy man and he said that he found enough truth in the book, Christ the Life of the Soul, that he could reflect on it constantly. Marmion was a prolific writer and this book is essential reading for anyone who wants to progress in the spiritual life. Here are a couple of very brief quotes to give you a flavour. How is that for a description of Holy Communion, when love unites itself to us under the appearance of bread. The play here is on the two meanings of the word radical. Think about it, our faith guarantees us future bliss. If ever you get the chance, read Christ the Life of the Soul: it is Irish spirituality at its best!